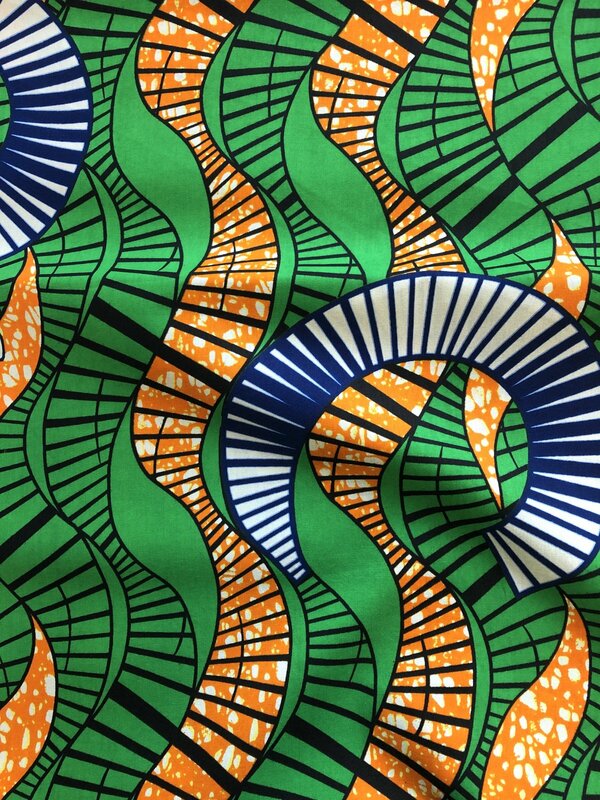 African wax print fabric, also known as ankara or Dutch wax print, is blockprinted using wax or resin. The result is a vibrantly colored, crisp fabric that is great for dresses, skirts, jackets, tops, home dec projects, and more. These fabrics will usually feel stiff at first and often have a waxy coating, but they feel like typical cotton prints after washing.